Anyone who fishes knows that fishing with kids is a totally different game. I love having my kids along, but when the boys were 6 and 9, their tangled lines, broken lures and snags on land-growing trees usually took so much of my time that I didn’t get to fish. So for Mother’s Day one year, my husband treated me to a 4-hour fishing guide in the Florida flats! I quietly left the store, never booking the trip, unbeknownst to the man who missed the sale. (and missed the sail – if I wanted a pun. 🙂 ) He doesn’t know what he missed! Another marina I really liked, Jensens on Captiva, was a bit of a drive (or boat) away. On hot boating days, our family would often stop there for ice cream or a soda. There was a sign in the parking lot that said, “Reserved for Bob.” I didn’t know who “Bob” was, or if it was a joke, but he seemed pretty important to have his own professionally-made sign. The man at the counter was excited to help me when I told him I was looking for a fishing guide. I asked if I could take my 6 and 9-year-old boys, and he said that some captains prefer no kids, but he thought “Bob” would be fine with it. “Bob”? THE Bob? I booked, “Bob,” for the following Thursday at 7am. The day arrived, and Casey, Nate and I loaded up the car, while Chris stayed home with the still-sleeping toddlers. We arrived dockside by 6:50am, so we wouldn’t miss any minutes of our fishing day! The boys and I loved to look at the live bait in the outside wells there. Fishing captains came in fancy sea-going boats with outriggers galore and stocked their live-wells with the baitfish, while their clients loaded. Groups of men and even a few couples came, found their assigned captains and loaded their chartered boats for their day at sea. I built the boys’ dream, “Imagine what we could catch today! Do you think that one will catch a big one?” I asked, pointing to the largest of the pin fish in the bait well. That’s when I noticed things were getting quiet at Jensen’s Marina. It seemed like all of the fishing boats had come and gone. I took this to mean that Bob was “usually” late. Doubting began. I didn’t doubt that Bob would be there; I doubted that he was a good captain for our boat. “Usually” late? Wait – is that why he needed his parking spot reserved? Ugh. Maybe he is the last on the list to take people out – and that’s why he got “stuck” with the “girl” and kids. Reality came to mind that this could possibly be a total scam. They just got some homeless guy and said I’d give him money if he pretended to fish for the day. 7:37. An unfitting boat pulled up to the dock near where we stood. The boat looked older than I. Ten years of grime had changed its color, making the original undistinguishable. The morning’s dew combined with the previous day’s slime to make a nasty swirl and stench. A dead crab and another unidentifiable animal lay in the corner where they had slid when the boat moved. The driver was probably fifty, but difficult to guess because of his sun-beaten skin. No hat. I wondered what this man was doing at a place like Jensens. Gas, I assumed. Yep, he filled up while the boys and I watched and tried not to stare, looking into the horizon for our chartered captain’s arrival. Wait. What? Get on THAT thing?! This is “THE Bob”? No way. Can’t do it. Dis-gus-ting! “Great!” both boys shouted and ran to his umm… boat. I must admit, I was so turned off, but noticing how my boys were not made me try to adjust my attitude so I didn’t ruin theirs. “Bob,” he said, offering a hand as we climbed aboard. “Casey,” the 9-yr-old said, taking his hand and giving it an enthusiastic shake. “Terri,” I said, not offering to remove my shoes like normal boat protocol. I didn’t have to ask how he knew that we were his clients. We were the only “mom and two kids,” on the dock. Well actually, we were the only ones on the dock. We set out into the water, when I realized that we didn’t get bait. Maybe he caught his own? I had a glimmer of hope that he knew what he was doing. “Did you want to get live bait?” I asked, gesturing toward the dock we were leaving. He drove and the devil and angel on my shoulders conversed across my brain, attempting to win the battle for my attitude and belief that this day would be worth the money. I couldn’t believe it when we stopped the boat still in sight of Jensens. I had been there a million times. We were not trolling like all of the fishing boats I had seen leaving the dock earlier. He took out the “bait.” It was not alive. It looked like a hook from Walmart on which he had painted a head with red nail polish and an eye of black marker. $0.57 for a pack of ten, I cynically did math in my head. He put NO bait on this homemade “masterpiece,” just threw it over the side of the boat. I was getting mad at his lack of aptitude as a “professional”. “I got something!” Casey said before the second line could go into the water. He reeled in a ladyfish. I chuckled at the luck of it… first cast! I enjoyed his excitement while “Ronaldo” dropped his unbaited hook over the edge. “Got one!” he yelled, while Bob worked at returning Casey’s fish to the water. Do fish like red nail polish? Or Walmart hooks? Who knew?! Other boats were making a beeline for our area. Big fancy ones. Trollers with high bridges. Boats full of men out for the day headed toward our little spot in view of the marina. “Let’s feed the dolphins,” Bob said. I thought to myself, You gotta be kidding. You have baitfish somewhere on here, but you are giving it to the dolphins instead of using it to fish?! side of the boat, and held it over the side. A dolphin magically appeared and jumped out of the water for the fish. We caught fish on the left and held them as snacks for the dolphins on the right for what seemed like hours. I felt like I was in some “Snow White does SeaWorld” dream. However, ladyfish are easy and common. They don’t fight much. (I always thought “ladyfish” was a misnomer for that reason.) They are perfect for kid fun, but not good eating for anyone but dolphins. “You like snapper?” Bob looked directly at me. “I like fish… any kind!” I said, beginning to crack a smile. He moved the boat over what felt like ten yards (or was it a circle? I don’t know: it all looked the same, still in sight of the Marina), and tossed in the same nail-polished bait, waited a minute and fish-on! “Mackerel.” Captain Bob said, not showing much emotion, not even adding the “holy” in front of it. Nate reeled and reeled, but the zing of the line indicated that the fish was still swimming away and not getting any closer to the boat. “Come on, Nate! You can do it!” I cheered from the boat. This fish had to be a giant, the way it was fighting! “I thought his name was Ronaldo?” Captain Bob gave me a strange look. “Nickname,” I said, baffling Bob, I am sure. Nate reeled and reeled and eventually, the fish succumbed to his beckon. A mackerel, just as Captain Bob predicted before the cast. The four-hour-trip felt like thirty minutes. We headed back to the marina, which I could still see! dock, pelicans came and landed right on our boat! (I couldn’t help but notice they were not on anyone else’s boat!) Captain Bob pulled up to the fish-cleaning table and the pelicans practically got in line behind him. (I couldn’t help but notice nobody else had fish to clean.) Bob threw the scraps the pelicans were expecting. I looked around wondering who he meant and whether I was supposed to do something. That’s when out of nowhere, an otter exited the water, climbed onto the dock, then onto someone’s empty boat, opened their cooler with his nose and began taking the bait out – one fish at a time!!! WHAT?! How did Captain Bob know? How did he see the otter coming? How did he know that boat had something in its cooler? I blackened the mackerel on the grill for dinner. Yummm! Well worth its price! The kids and I had the time of our lives! Bob is a genius! He deserves a parking place of his own!! Don’t judge a book by its cover or a captain by his boat – or you might miss a really great story! Don’t ask someone to guide you, and then doubt their every move. Why bother having a guide if you know everything? Enjoy the ride, and judge the catch. When people start doubting my own guiding, I can give them some grace; afterall, I have had my doubts en route to my “Reserved for Bob” sign. Why is There a Dead Bird on the Air Hockey Table? John 21: 3-7: 3“I’m going out to fish,” Simon Peter told them, and they said, “We’ll go with you.” So they went out and got into the boat, but that night they caught nothing. 4Early in the morning, Jesus stood on the shore, but the disciples did not realize that it was Jesus. 5He called out to them, “Friends, haven’t you any fish?” “No,” they answered. 6He said, “Throw your net on the right side of the boat and you will find some.” When they did, they were unable to haul the net in because of the large number of fish. After a full year of busyness, we were ready to convalesce as a family! 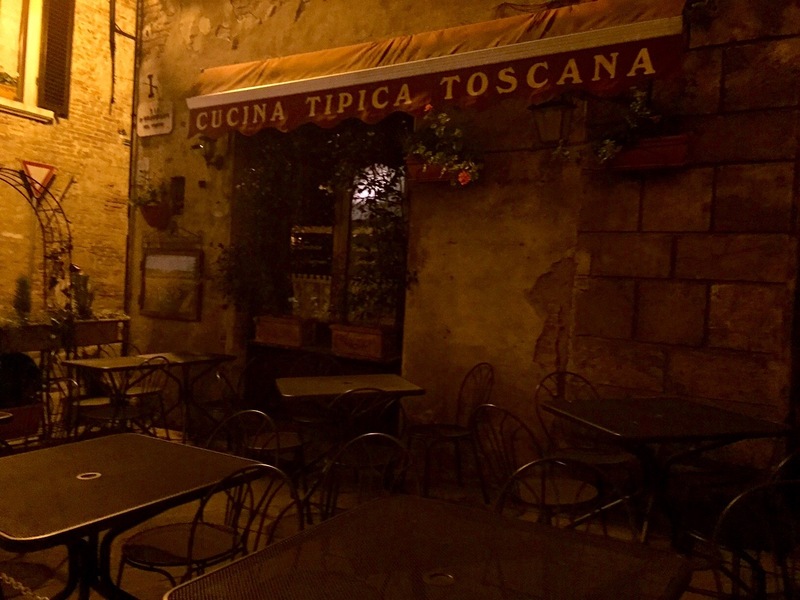 Of course we could do that in our basement, or at the lake, or at my kids’ favorite campground in Silver Lake Michigan, but we decided to get away – really AWAY – to Italy. (See video scrapbook below.) We have been to Italy several times, most famously five years ago, when my husband Chris wrote his book, A Month of Italy. Thanks to Chris’s vacation advice, on this trip I suppressed my “task-oriented” self. I did not sort emails or work on my lists (despite how I wanted to, since I finally had time!). 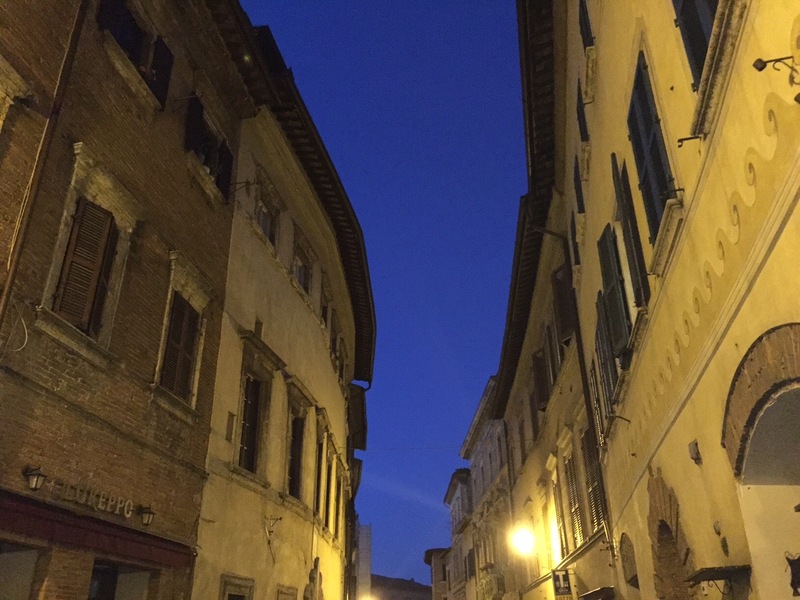 I didn’t count the calories of the gelato and tried to stop thinking about the stress at home; I enjoyed my family. My quiet times got deeper. On a true vacation, life can be whittled down to what really matters, to release the stuff that really doesn’t. * As I forced myself away from the daily grind, I was able to think of the long-term-vision that seemed to have taken a backseat to busyness this year. New ideas; new goals; fresh brain! Ahh vacation. the kids are older (now 18, 15, 11 and 10), and we are probably a little more seasoned visitors of the country. However, our oldest leaves for college next week, and we all seemed to cherish every moment as a family of six, knowing we will be having dinners of five too soon. When the woman said in her Italian accent that she was a “ballet” dancer in Florence, and I misunderstood and asked her if she was a “belly” dancer. Bahaha! No judging here! When Chris said in perfect Italian, “Posso …formaggio?” when he noticed our table lacked parmigiano cheese. The kids quickly pointed out that he had actually said “Can I … cheese?” which of course went viral on our vacation as the kids often asked if they could…cheese…in Italian. We played a card game we had just learned with great friends who came to visit North Carolina in early June. Like golf, the goal is to get the lowest score by getting rid of all of your cards. Hysterically, Casey could not get rid of cards, and while the rest of us were within one hundred points of each other, Casey hung out 300 points behind last place! “Casey, you stink at this!” Chris had said in surprise, since Casey usually seems to have a knack for winning. Chris’s uncharacteristic quote again went viral as the kids enjoyed repeating Dad’s funny statement toward Casey any chance they got, often in the form of a rap song. We missed our weird moments. “Nothing weird has happened to us this trip!” Casey (age 18) said on one of the last nights. It was almost sad for us. We didn’t have a motorcycle crash into us after popping our tire with his foot peg when he passed too close to our van in Rome traffic. We didn’t have a 12-passenger mini-bus as our rental car, even though Italians are still shocked that we take four children on trips. No child said, “I forgot my shoes” when we were already an hour into the drive for a day-trip to an ancient city. We didn’t have any other child say, “Me too,” realizing he also had forgotten to put on shoes for the same day-trip. We didn’t have any accidental orders of grappa (which Chris swears is kerosene, but Italians drink it) or pasta al scolio (which was full of octopus and squid, not meatballs like the ordering child had hoped). No scorpions came in through the window at 1am, scaring us into leaving the windows closed for the duration of the week with temperatures in the high 90’s – without air conditioning. No man screamed at us, “Allevamento!” (which means “breeding farm”) into a crowd at the market when he saw we had four children. We disconnected in order to be reconnected. We read…and read and read… (and the kids did too). We enjoyed early mornings with singing birds and late mornings, catching up on a year’s worth of sleep. We enjoyed the views from the air-conditioned car, while miles of sunflowers and lavender, wheat and hay passed by our windows. Hundred-year-old cypress trees seemed old until we realized they lined the driveways of six-hundred-year-old estates. Grapes hung down near our outdoor dinner table, while grape leaves brought the welcomed shade on the canopy over our heads. Crops formed their signature squares that make the land of Tuscany so beautiful from its mountaintops. A heart that has had a good vacation is what makes home feel sweet. Hallstrand and Tracey Avereyn have been friends of mine for the best parts of a couple of decades. Susie’s nursing knowledge combined with her ability to always see the needs of others –team members or strangers – was irreplaceable. Tracey chose to read to the three special needs children of Dorie’s promise instead of playing outside with the children daily, yet her fruits of the Spirit were also evident in her gentle reaction when a child accidentally pressed, “delete all,” on her camera. My friend, Jen Korte, (who invited us to go on this trip since she has been here many times), and I have a friendship that makes up in depth what it lacks in years, as God gave me a soul sister on the soccer sidelines. 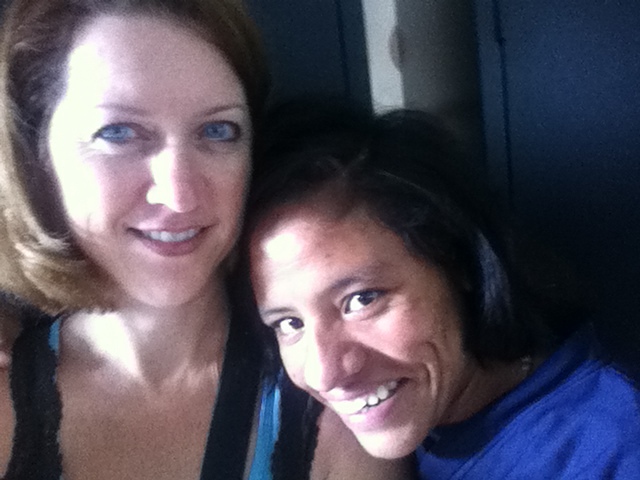 But here in Guatemala, I feel like I have met the “real Jen,”: the Jen that has an insatiable desire to help others in need, in the name of Christ. Each morning, our team would meet with the FCI Missions director, Joel Juarez, who would go over a devotion, which kept us focused on our purpose, when the pain of surroundings tried to distract. In the evenings, we would meet again and each member would state a high and low of the day: the returned smile from an apprehensive toddler, the reciprocated English “God bless you!” of the teen, the boy who said, “I have only had the bones, but I wonder what the chicken tastes like,” and more. The quality of the hearts of the people in the room was astounding. Two team-members, Sue and Kari, even brought their children (Belen -5 and Wilmer -10) with them whom they had adopted from Dorie’s before international adoptions closed. They, along with Jen, returned with a promise not to leave the others behind, and spent their week sorting through hundreds of pounds of donations they had stuffed into extra luggage. Liz’s heart was on her sleeve and kept our eyes “leaking” love; Kate’s smile lit the room when she spoke of her daughter’s fundraising; David and Bin said they were nervous around children, but that never showed, and they’ll be fantastic parents to the baby they are expecting through adoption from Korea within a year; Nate was seeking a way to serve and found the group solely by internet searching, but it was hard to catch him without a baby in his hands! ; Sheryl could be a stand-up comedian with her Jersey humor and kept me taking notes so I could laugh again later; (We nick-named her “Jersey”, and because she kept adding “ario” to words to try to sound Spanish, we later called her “Jerseyario”.) Diane showed such leadership with the kids – they would follow her anywhere, but her true strength showed when she served through a migraine yesterday. Tracy (different from Tracey) and her daughter, Alex (10), were blessings of peace under fire. The team made the perfect parts of the body of Christ to serve together on this trip. With such great teammates, I wanted to capture more than just my own thoughts of the week, so I invited them to write for my blog. Tracey took me up on it (below), and I am hoping some of the others will attach comments to bless us all. my enthusiasm for the idea grew from a couple of seeds. The first was the opportunity to go and make a difference…to be active hands and feet of the Lord Jesus Christ as instructed in Scripture. The second was much more selfish. I know people who had returned from similar trips and had shared how blessed they had been through the experience…blessings from learning the stories of others, travelling to other countries, gaining perspective and developing (or even fine tuning) a scale against which to audit myself in such areas as character and faith. And I wanted that. In his first letter to the Thessalonians (1 Thess 5:16-17), the Apostle Paul instructs us to “Be joyful always; pray continually; give thanks in all circumstances”. And, if I were to be honest with myself, and you too, I must confess that I fail miserably at this charge. And, this week, I repeatedly met people in much more dire circumstances than I have ever found myself…doing just as Paul instructs. These people had no say regarding what country and situation they were born into…just as I had no say, yet received the unearned mercy of being born in the United States to a loving family with a committed mother and father. 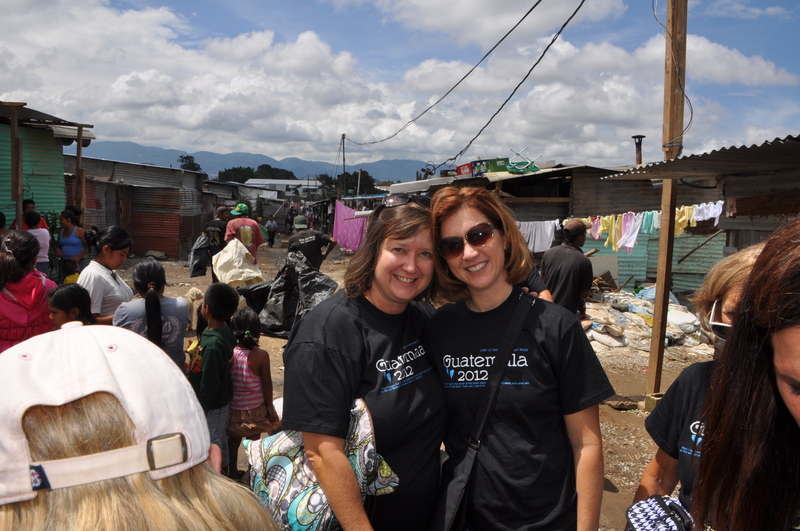 Yet, as we launched into communities in such places as a Guatemala City ghetto or a shantytown set up along the edge of the dump…we repeatedly were experiencing these people giving back to us. Serving us cups of Coca Cola…praying God’s blessing for us…and assisting us with our various tasks. I have so much to learn from them. Anytime I am leaving a beautiful vacation spot, usually along a beach of one of the Great Lakes, I am always a little frustrated that that beauty is always there whether it is being enjoyed or not. This week, as we came and went to these places, returning to our comfortable resting spot, it occurred to me that those places of struggle continue to exist whether someone is there to help or not. There is no escape for those residents. And as I return to my wonderful country…to the cocoon of my family and friends…I need to give thanks to an almighty Creator because “There but the grace of God, go I”. – Tracey A. When we are irritated by that slow driver, frustrated with the boss who lacks people skills, judgmental of someone’s response to us in life, may we give thanks to God in all things and humbly recognize that there, but for the grace of God, we go. And when we feel a tug on our heart of a need to be met, may we, by the grace of God, GO. 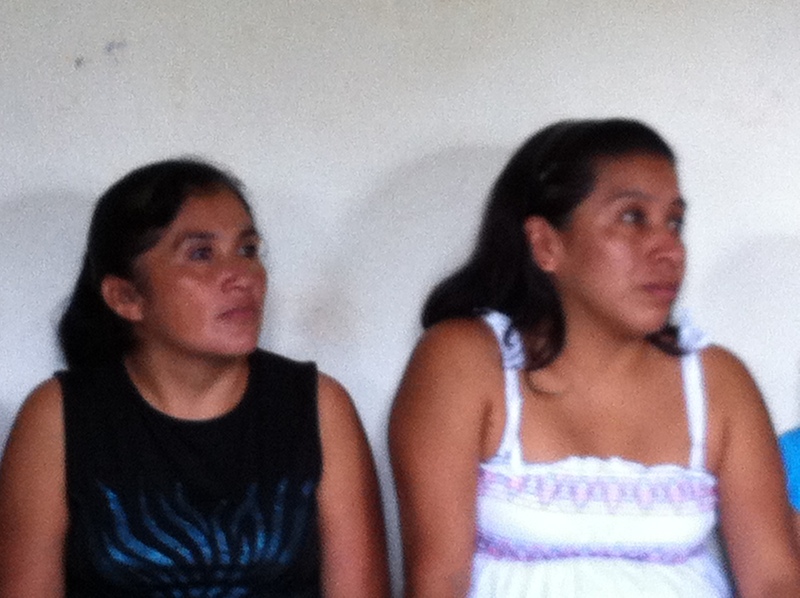 I am still in Guatemala. The heart-wrenching is good for the soul. I haven’t had time to write every day, but I thought I would try to synopsize a bit so you can get the idea. 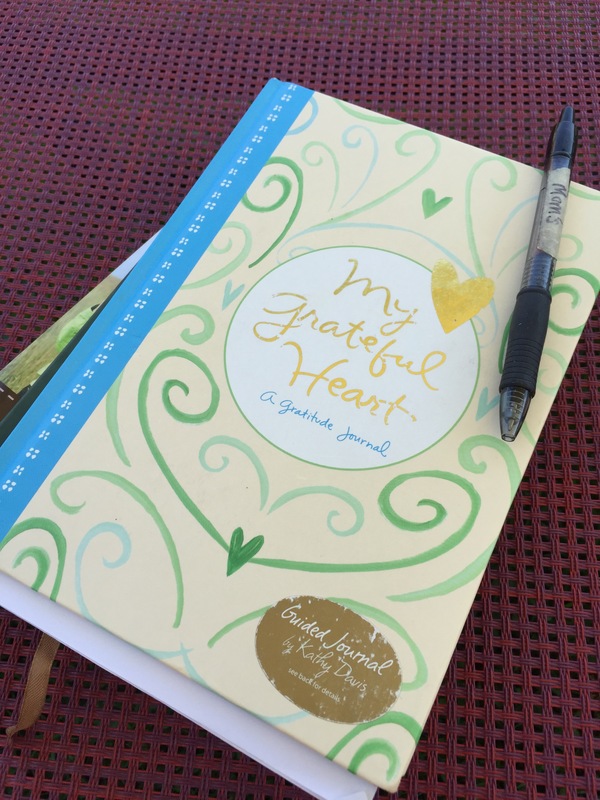 Feel free to skip to the “Thoughts to Ponder” if your time is too limited for reading my diary :). 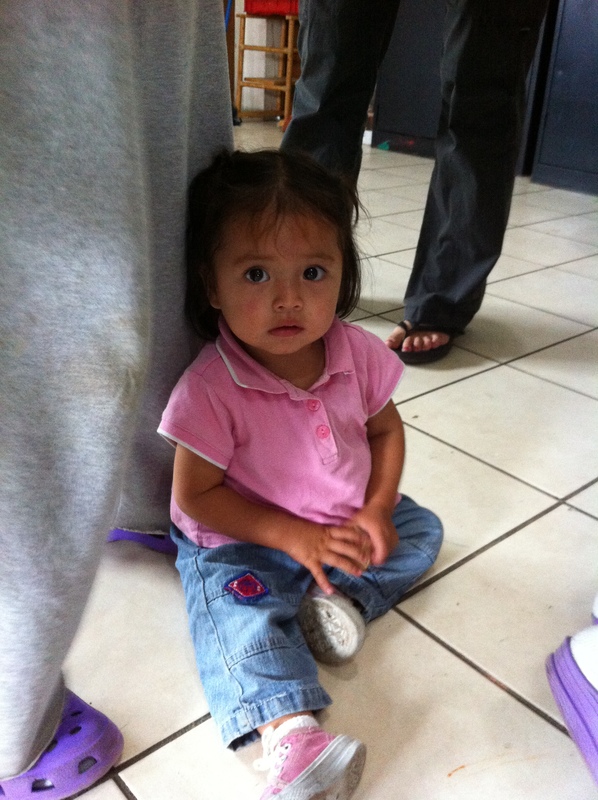 Dorie’s Promise, the privately owned orphanage on the property where we are staying, has 38 children right now. That seems like a lot: to grow up with 37 siblings. 38 people at the dinner table. 38 people’s worth of laundry, food, sickness, chaos, etc. It breaks my heart that they don’t have a mom they can “go home to” and tell the story of their day. 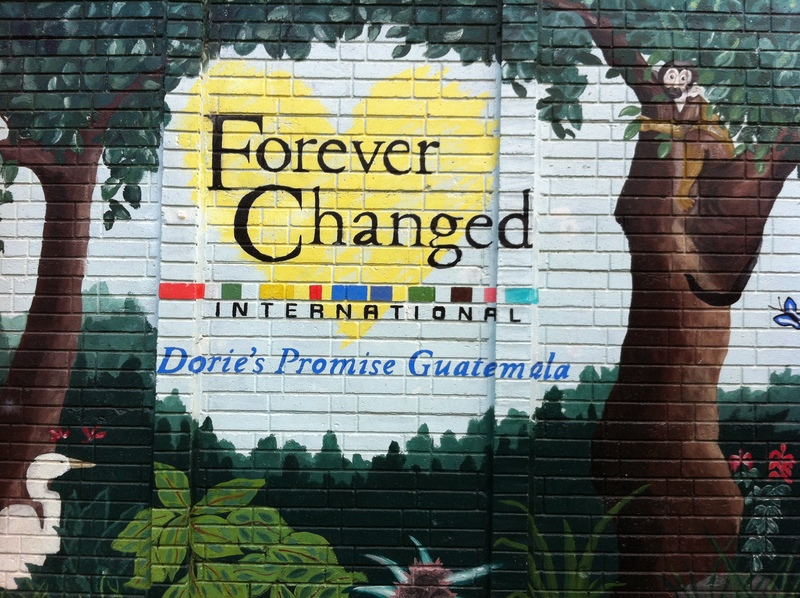 Yet, I realized what a difference Dorie’s Promise is making in those 38 lives, when we went to the state-run orphanage, which has up to 1000 children under the age of 18. We focused on those most ignored: sixty with special needs and twenty young mothers (age 13-17), who had been raped and left or abused, so they were brought to the orphanage by police. We brought cake and activities. Smiles and hugs. We tried not to notice lice or deformed faces, not to think of how the baby’s arm was broken or how the mentally retarded girl now has a baby. I tried not to flinch, when grabbed from behind, as they reached out only to be touched. Give me Your eyes today, Jesus. May I see them as Your children and lift them to see themselves that way. One young retarded boy helped another in a wheelchair by taking his plate to the trash. He licked the other one’s plate as he walked, and I realized what a gift the cake must have been. A young mother needing dialysis three times/week is about to be back on the street since her 18th birthday is approaching. So much “out of my control,” it’s hard to think about. 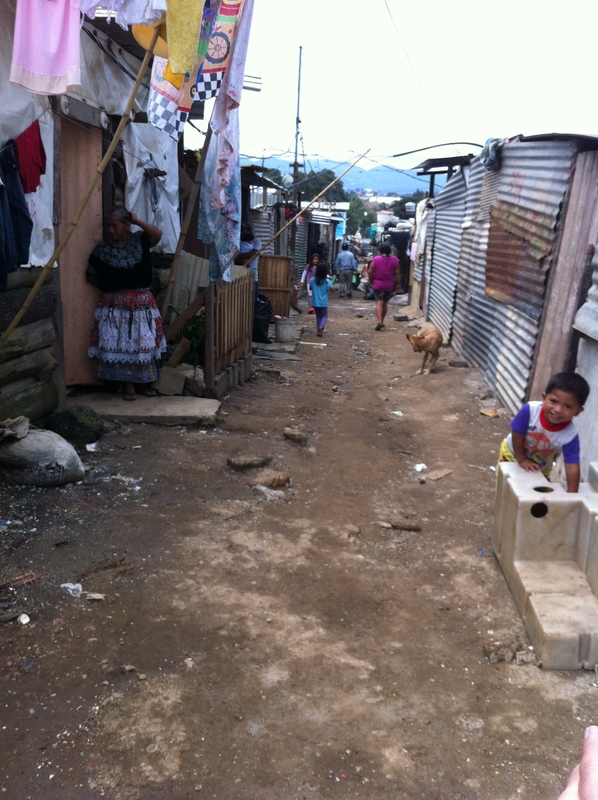 After the morning with Dorie’s kids, we headed to the city dump, a large area where another ghetto community has been built. 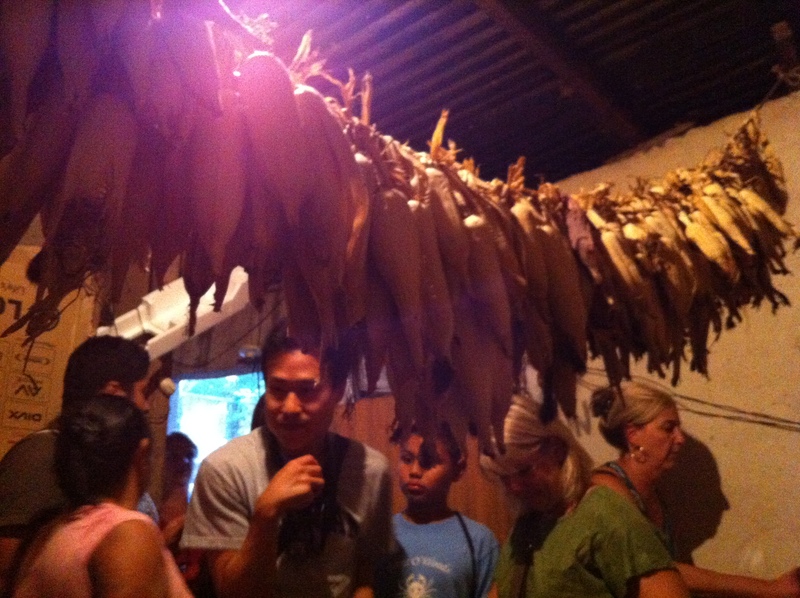 The repelling stench increased our desire to stay on the bus, but our team, favorably greeted by residents, forced ourselves through the trash-sorting area to get to the community of 150 homes made of cardboard, cinder blocks and tin. Approximately 3 families per home lived in this community full of roaming children and dogs. The dirt paths were speckled with color, reminding me that we were standing…ie, they were living… on a mountain of trash. I could see the bottom of a Croc surfacing. I pray the people don’t associate themselves with the trash beneath but with the God above. Part of the $975 cost to attend this trip with Forever Changed, included buying things to supply some needs of this area. 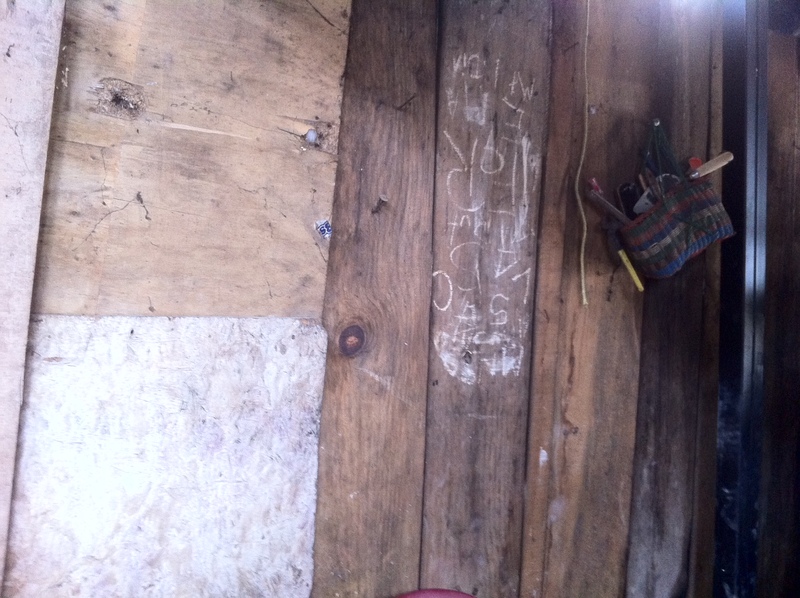 At the dump, the money was used for “pilas”. A pila is a 500-pound cement sink basin, which seemed like an odd request if they are not washing dishes. However, a pila, to them, means income, because they can use the water to clean things that have been “dumped” there, and then sell the cleaned treasures on the streets. As we delivered our gifts, I realized we were trying to live out the philosophy taught in the book, When Giving Hurts, so that we don’t hinder people by our gifts. Mural on the play-yard wall. named because an orphan, Dorie, who had been abused and moved from home to home, had been given a Bible and the words, “Jesus loves you,” by a missionary. She had hung to those words and The Word through much abuse afterward, but eventually devoted her life to giving back and helping orphans. Such a small seed was planted, and although the missionary never saw the fruit, God did, and still is. 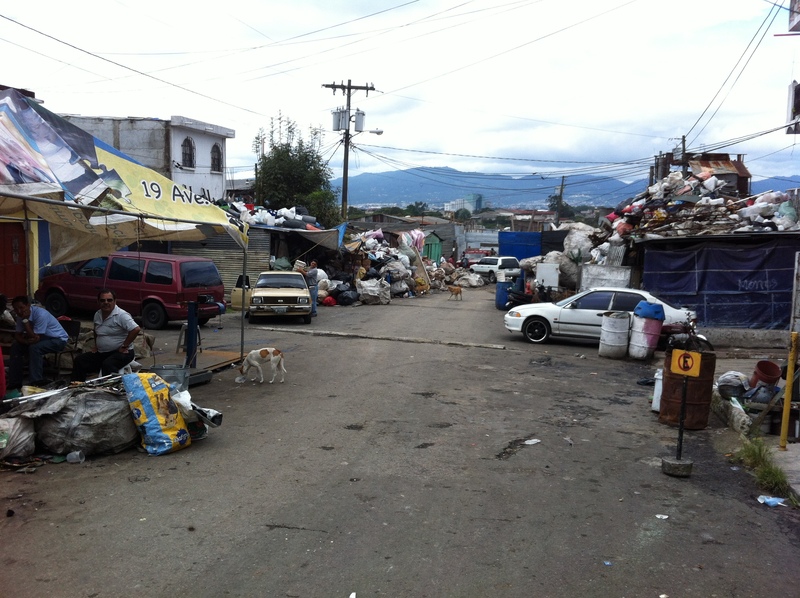 After devotions, we went back to the ghetto today – the one we had visited Sunday. 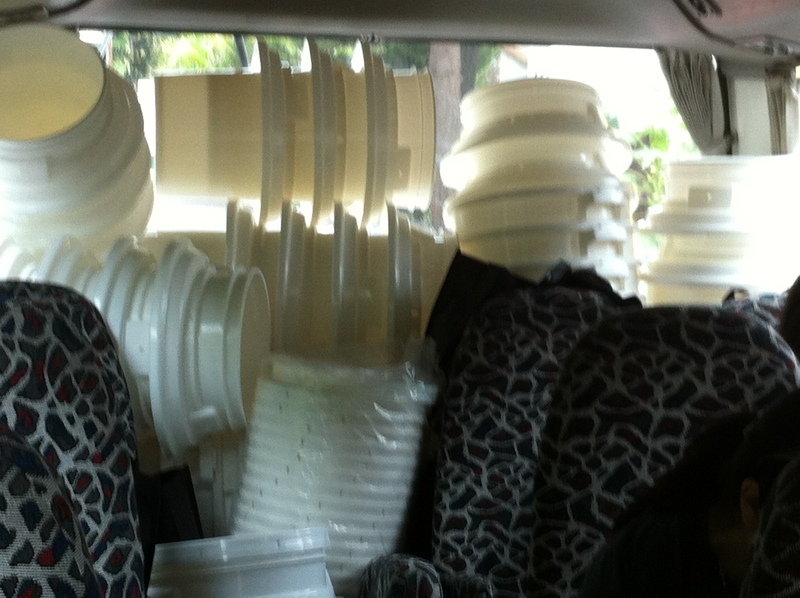 This time we carried twenty water filter systems. (They look like 20-gal Britta filters.) One woman wept when she walked into the room and saw the filters, before we gringos even began to speak. The woman from our team whose 10-yr-old daughter had raised the money for the filters (selling hair clips) also wept, while the recipients expressed their gratitude. It was as much of a blessing to give as to receive. 1. United States is rich. I once heard that people on welfare in the U.S. have a higher average income than 85% of the world. In essence, Americans are all rich in comparison. I used to be judgmental of rich people, assuming they were materialistic and loving money more than God. “Good people do good things with money,” my husband fought back when I tried to squelch his ambition to start a money-making business over a decade ago. “If good people don’t use their God-given ambitions, who will be there to help when a need arises?” he had asked me. No one on this missions team is unambitious: Surgeons’ wives, business owners, nurses and CEO wives were blessed by God to be able to help in time of need. 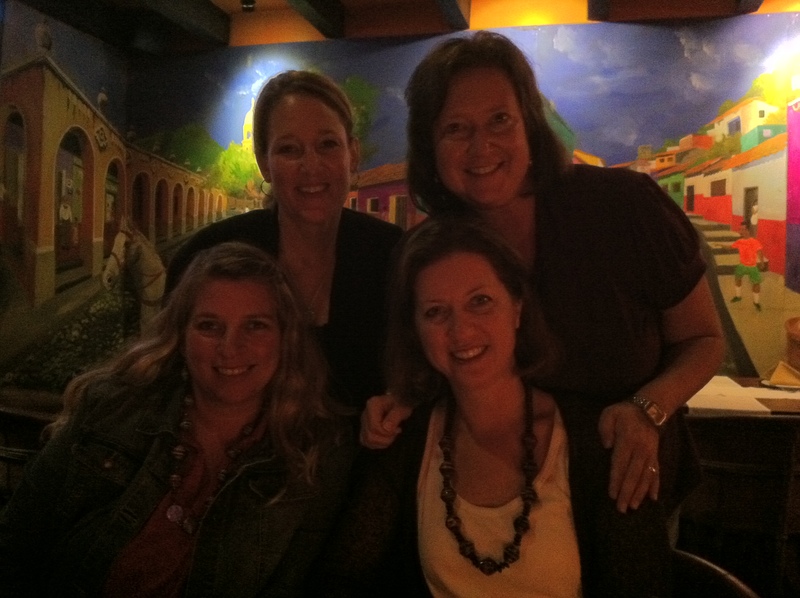 I am so thankful for them! People who have been here don’t ask those questions. May the people of Guatemala have faith in Him. “I don’t think I have ever smiled so much and spoken so little,” my friend, Susie said today. I guess that’s what happens when you dive into playing with children of an orphanage in a land of a foreign tongue. 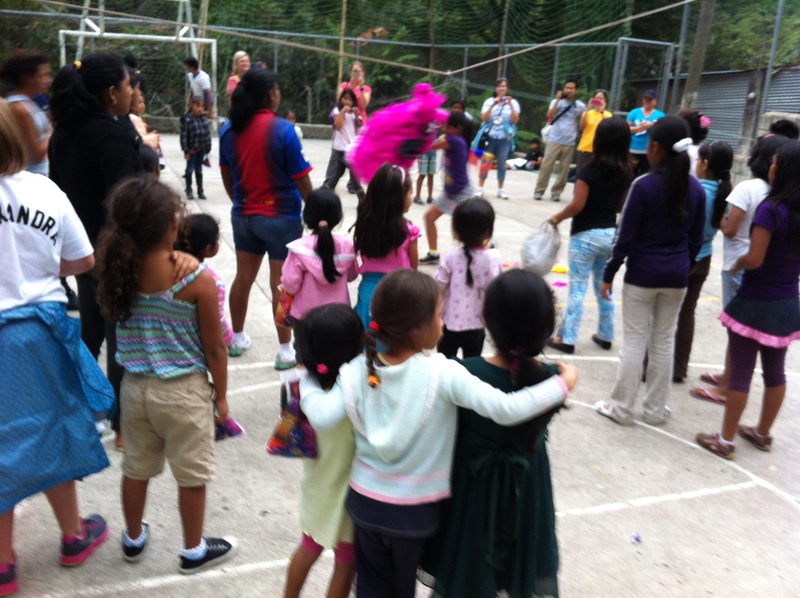 Jen, a Michigan soccer mom friend of mine extended her heart beyond imagination all the way to children in Guatemala. 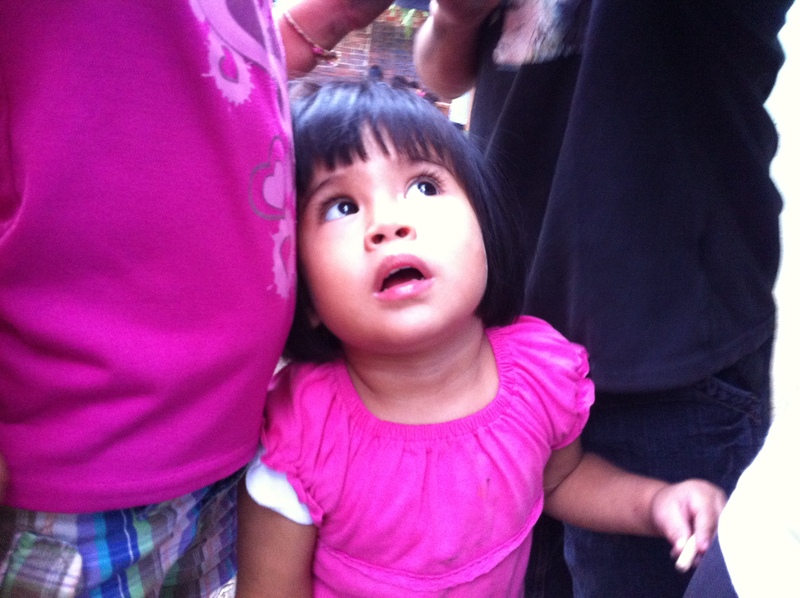 She has visited Dorie’s Promise, a private orphanage in Guatemala City, many times, and invited Susie, Tracey and me to go to the land for our hearts to grow. Forever Changed International is a charity which not only supports the orphanage, but also aids the poverty-stricken within Guatemala City. Today was our first full day, and many apprehensions were cleared, while the chains of our hearts loosened. We are staying in an adjoining house that sleeps 20. We are with other Americans from Oregon, New York, New Jersey, Michigan, and California. First thing this morning was church. After boarding a hired bus, about 20 of the 39 orphans came onto the bus and jumped onto our laps, clearly familiar with how the “volunteer team” works. The Holy Spirit transcended any language barriers in the 8am church service, as His name lifted the roof of worship for my English ears in a Spanish world. Afterward, we took the orphans to the park where the laugh of a 3-yr-old child (whom I was teasing with tickling on the swing) was a universal language. Those children went back to their house, which runs like a never-ending daycare; except it runs 24 hours-a-day, 7 days-a-week and is so much more permanent now that international adoption is closed. When the bus finally stopped at the appointed place, we were immediately surrounded by children, so excited to see the “gringos” (slang for white people) bringing gifts. I began to wish they would not think it was the color of my skin that was the giver, but the God whom I worship who was giving them gifts. Perfect! I thought. 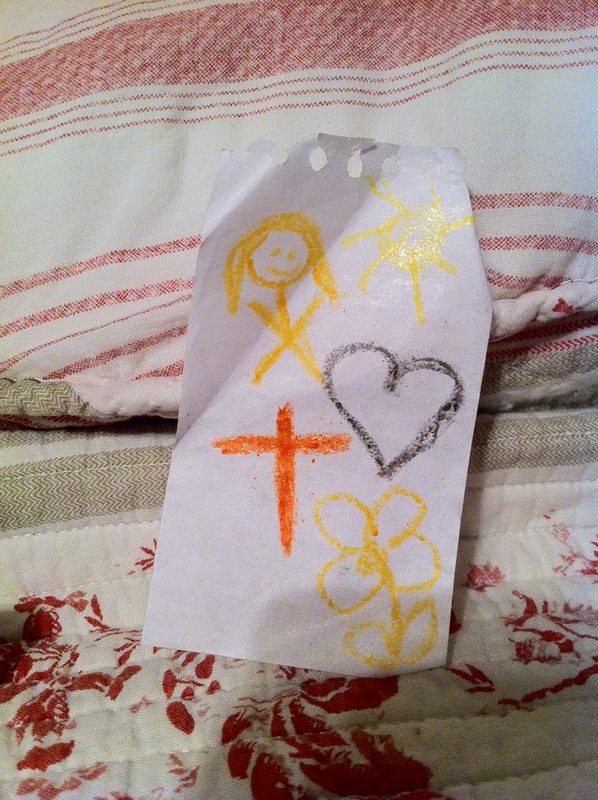 I can tell these children God loves them, while I hand out stickers. I continued handing out stickers. “Que dios te bendiga! [God bless you! ]” I said as I pressed a sticker onto each hand and looked deeply into their eyes. 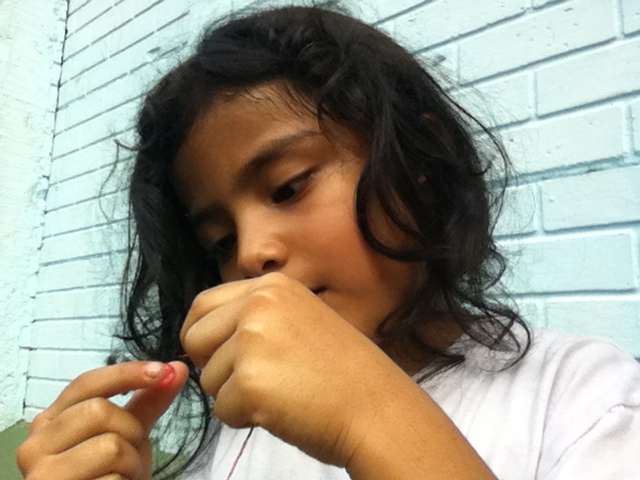 We continued our walk, stopping at houses to meet residents and ended in the park for play and piñatas. Word got out that I had “stampas” and children flocked to me. I practiced my Spanish, asking if they wanted the princess sticker or the flower. “Que dios te bendiga [God bless you! ],” I said with each gift. A sticker brought delight to these kids who probably wondered when/if the next meal would come. 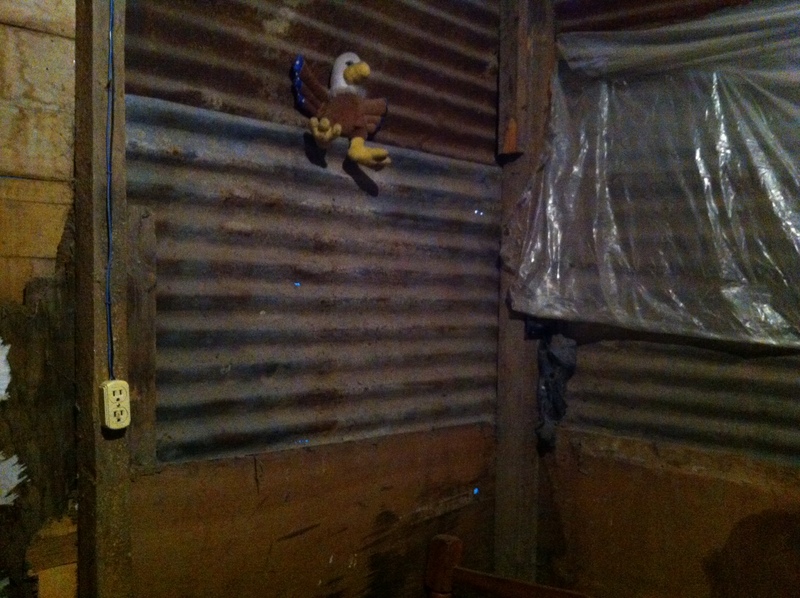 One baby had a “crib” which was a blanket tied to the ceiling “beams” with rope, as a hammock above an adult bed. My legs ached at the hill climbing and uneven steps OSHA would never approve. In my mind, I raced to solve the issues…a new roof for that one? Cement floors so the dirt doesn’t wash away under the leaky roof? Running water? Education? – if they only knew a better way. Do they know the Hiding Place where they can go? Do they know that heaven will be better? Thoughts pounded, and children enjoyed our presence. “Better is one day in heaven than a thousand on earth,” I thought. I am grateful for the volunteers here. 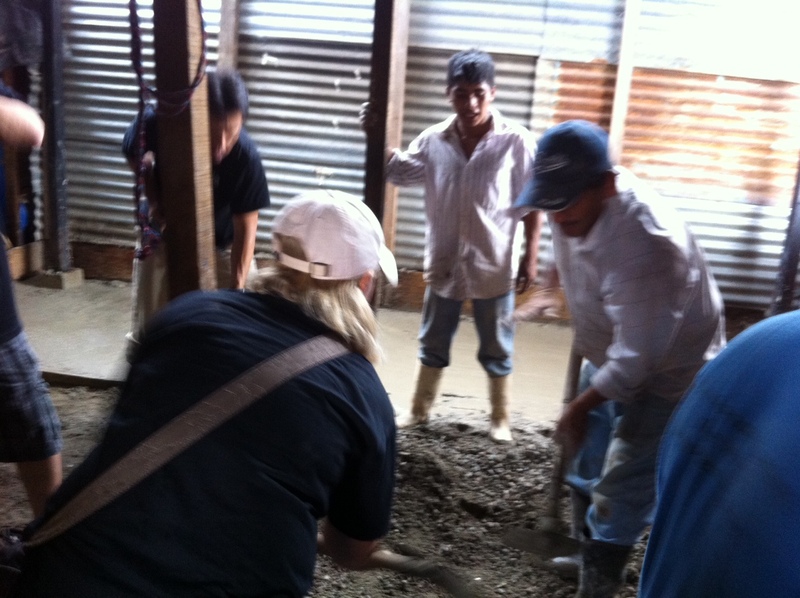 “Well done, my good and faithful servant!” will surely be heard by Joel, FCI, Jen and the hearts that surround the work to make this place better for these 400+ children in this one ghetto alone. But I look forward to heaven for those residents. One minute of eternity will erase all hunger pangs from a life here. I prayed for the children while I watched them race for candy, a temporary joy amidst the struggle called life. “God bless you,” I answered. They each repeated it slowly, practicing, trying to cement it to memory to be retrieved later. I was overjoyed by their approach. I hope that when the “gringos” are gone tonight – as the rain pours outside – that those children remember His name above all else. The kids were rewarded for delivering drugs! That’s all I remember from my college spring break trip to Washington D.C. We handed out food in a soup kitchen, took children from the inner city to an outer park to show them what green grass looked like (called the “Fresh Air Program”) and visited a “safe house” in the middle of a block; this particular block of tall apartment buildings was where children were taught to deliver the illegal drugs, to keep their parents out of jail. The baby never left the papoose on the Navajo Indian reservation where I stayed one summer. Children were everywhere, but they all lived with their parents, aunts, uncles and grandparents in a two-room house with a hole in the roof (used as a chimney). The accommodations seemed impossible; I actually wished they would all go inside for a minute so I could see how they fit. While a team of us were replacing their roofs in 110 degree weather, the entire family of 16 stood around outside and marveled. Women and children came and went with buckets of water, carrying them from a nearby well. 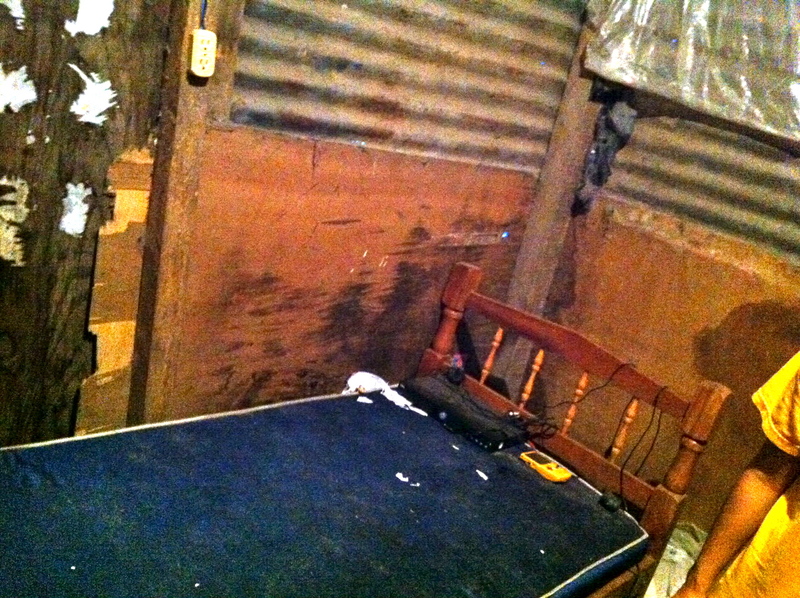 There was no running water or electricity, and barely a roof. This seemed like a third-world within our own US boundaries: outside of Newcomb, NM. As I returned from each of the above trips, it was so hard to acclimate (even though they were less than one week each!). How do I spend $75 to put gas into my sport utility when there is such need? How do I take a hot shower every day and think, “There is no food in this house,” with a full pantry. Did I really think “I have nothing to wear” to that wedding? Ugh. Perspective. I wish I would never lose it. As we remember the Holy Week this week – the anniversary marking the last days of Jesus’s life on earth, I am thankfully given perspective. As He was beaten, mocked, and deserted, Jesus didn’t retaliate, nor even speak in defense, but played the part that God had designed. He “drank the cup” and died the death, so that I may live eternally. As we remember Him, may we keep the eternal perspective that He intended. He cares about the children in DC, the Navajo Indians, the Brazilian favelas, and even me. We are blessed indeed. Life: May we keep it in perspective. Enter your email address and you will get an email each time there is a new Letter to Lindsey posted. An engineer in a former life, Terri now enjoys engineering a home with 4 kids, a puppy, and her #1 fan, Rascal author, Chris Brady. Although a leadership speaker and business owner, "Mom" is her favorite title, and she can usually be found cheering on the sidelines of a soccer field. She has an insatiable love for music, is solar powered, and can be influenced by coffee and chocolate. She seeks most to glorify God and enjoy Him forever.